Katharina Warta is managing director at Technopolis Austria, and chairman of the Austrian Platform Research & Technology Policy Evaluation. She has more than 20 years of experience in leading evaluations in the domain of research and innovation policy. 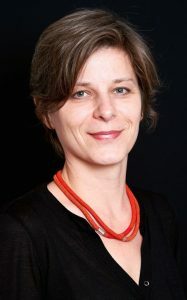 Katharina Warta holds a master in economics (Vienna University, 1994) and is Trainer in group dynamics at ÖAGG. Her work covers policy and programme evaluations as well as strategy development on the institutional and policy level. This includes the ongoing evaluation of three research centres in Luxembourg, several major programs of the Alexander von Humboldt foundation in Germany, and research and innovation programs addressing the cooperation between industry and academia (Bridge and COIN in Austria). Her studies address key challenges of research policy as for instance how to support radical innovations or increase gender equality.